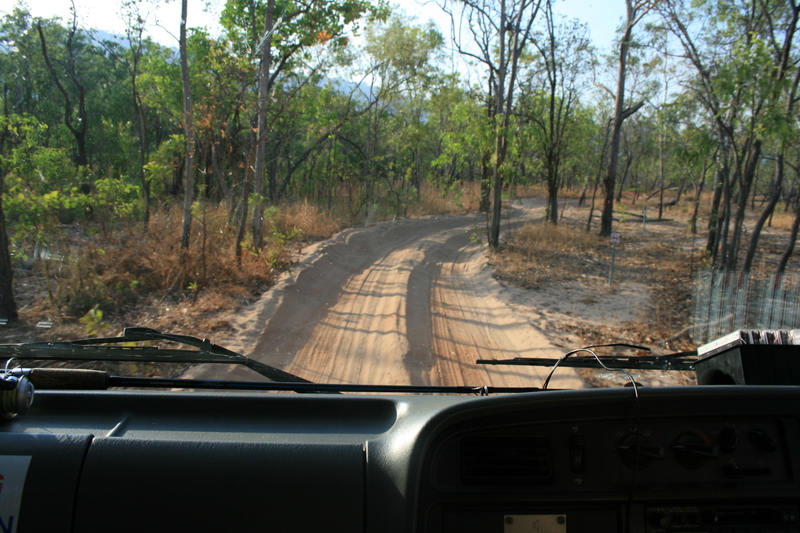 Part 2 of the 10-Days-Special on Australia is Kakadu National Park near Darwin. 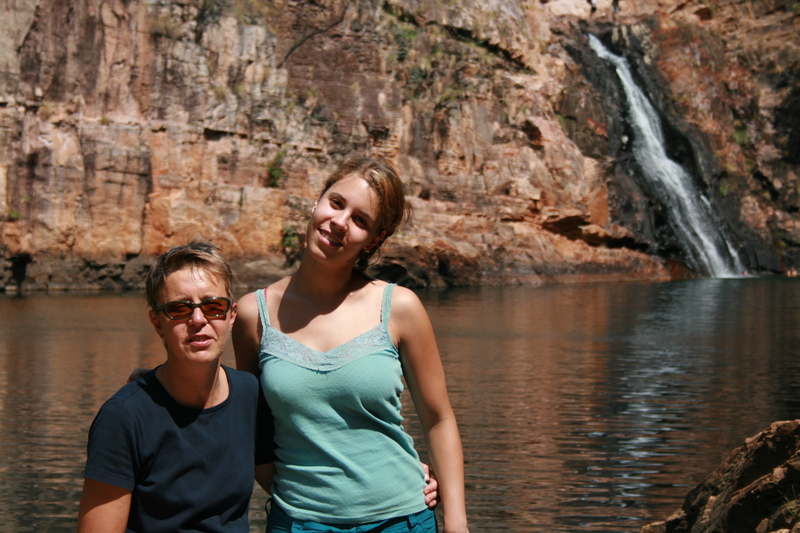 When I was in Australia, my mum came to visit and we decided to go on an adventure. So instead of seeing tropical beaches or the like, we decide to conquer the outback and the Northern Territory: we did a seven day tour with Adventure Tours, a rather backerpacker style Australian tour provider, and 10-16 other people, mostly backpackers but for a part of the trip also a French nurse who didn’t speak a word of English (very brave, I think) or a Swiss family with two kids. After flying to Alice Springs, taking a two days tour to Ayers Rock or Uluru, as it is called by the Aborigines, then going the 1500km to Darwin by Minibus with a group of 10 people, we stoped over in Darwin before our tour went on to Kakadu National Park. Darwin is the capital of the Northern territory and is featured in Baz Luhrmann’s epic drama Australia and that is about as much as I can say about it. There are famous Nightmarkets in Darwin, I heard, but I never visited them. We only saw the surroundings of our hostel. 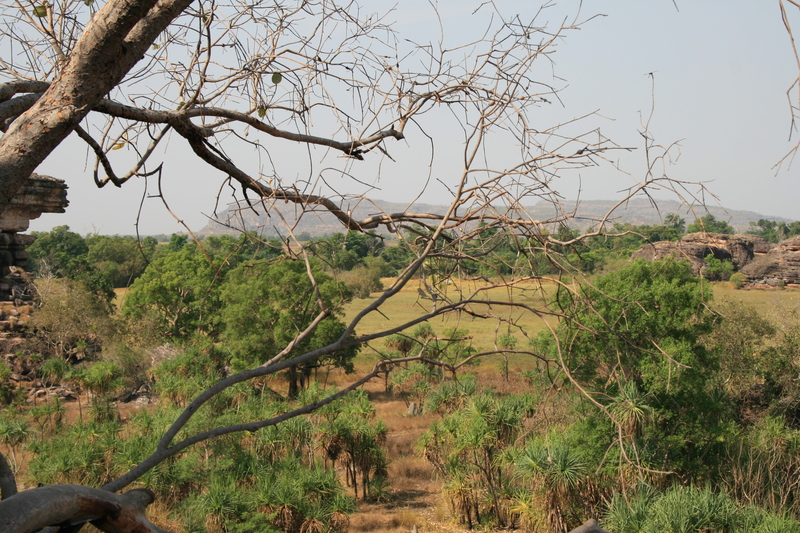 As boring as Darwin was, the more amazing were the two days we spend in Kakadu National Park. IOn the first day we went to Ubirr Rock where we admired cave paintings. While scientist assume that there have been people living in the area for the last 50,000 to 60,000 years the oldest painting there must be at least over 4,000 years old as it shows the Tasmanian tiger, an animal that has died out on Australian mainland 4,000 years ago. The next day we got up very early (as most of the time on our trip). By 8 a.m. we had already climbed over huge rocks through some beautiful bits of rainforest and were at the first rock pool. At this first rock pool, Jim Jim Fall, it was very beautiful but unfortunately Jim Jim Fall itself was not falling… it had dried out due to dry season. But you could climb into the water over several rocks or lie at a small sandy beach. I think I never before or again went for a swim so early. The second pool we hiked to after this break was even nicer. We were in the area of Maguk at Barramundi Gorge and had another swim at Barramundi Fall – this time there also was an actual waterfall. It was just so beautiful and like the first rock pool the water was nice and warm but still refreshing after a hike. 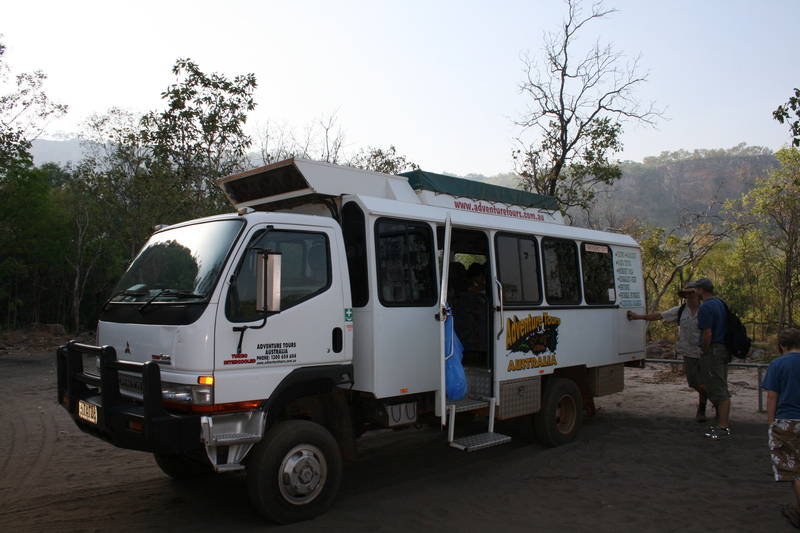 This entry was posted in Australia and tagged Kakadu National Park, National park by kathatravelling. Bookmark the permalink. Wow! while I view tour of yours, I’m already contemplating on visiting Kakadu National Park. 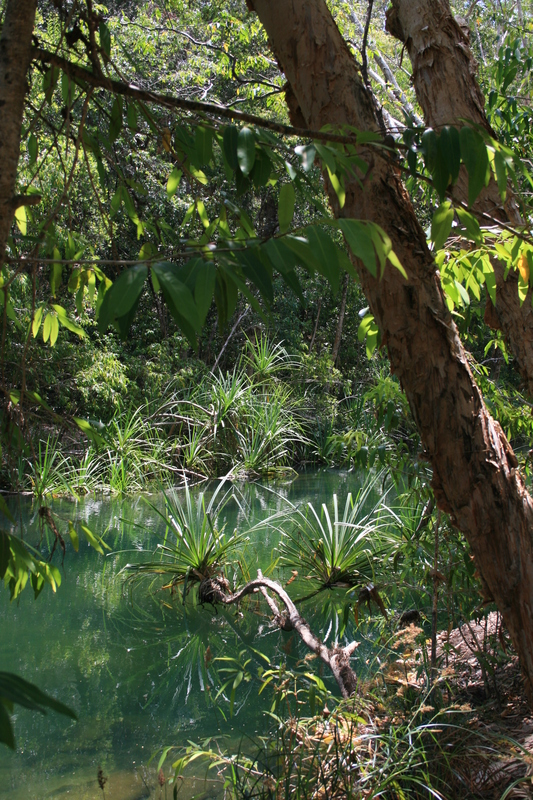 I love the outdoors, and Kakadu is a lovely place to explore. Do you mind if you share your itinerary during your visit there? I’d like to refer to it. Thank you.